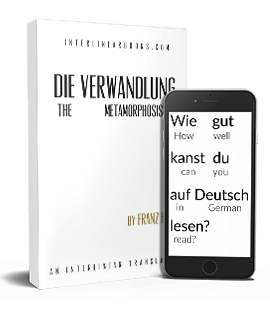 3) switching back and forth between the two was somewhat hard on the eyes and the brain, plus a non-literal translation did not always help in showing the meaning of the original text when the translator chose a different way to express an idea than Hesse did. Because I so enjoyed making the translation the next question was what to translate next. I began reading Hesse's other works and ended up with a few candidates, but some of them were quite long, while none of them I enjoyed as much as I did Demian. Steppenwolf for example I enjoyed for the first half, the second...not so much. Eventually I came across a book called Klingsors letzter Sommer that I found on Gutenberg.org, and got ready for a book about a painter's last summer, as the synopsis said. The first page of this book began with the word Kinderseele, which I first thought was the first chapter of Klingsors letzter Sommer. 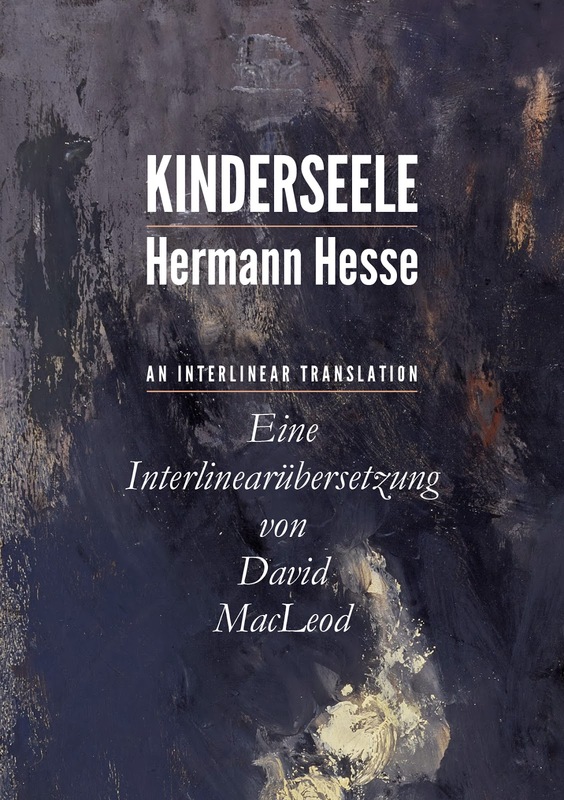 Because just about nothing I had ever come across in Hesse's works has ever truly resembled Demian, I was taken aback by this work which, from the first page onward, almost seemed like a rewriting of it. There again was the mention of unser Vaterhaus, "unsere" Welt, the light and comforting world of Sinclair's parents ("hinten führte die Treppe aus der dunklen Kühle empor und zu Licht und hellem Behagen"), then a comrade at school that had a certain aspect that Sinclair was drawn to (different from Demian here, but still), and so on. Eventually I realized this was a different book from the other two in Klingsors letzter Sommer, and read it through. Es ging sehr leicht, sie aufzubrechen, es war nur ein dünnes Blechgitter zu durchreißen; aber der Riß tat weh, erst damit hatte ich Diebstahl begangen. Bis dahin hatte ich nur genascht, Zuckerstücke und Obst. Dies nun war gestohlen, obwohl es mein eigenes Geld war. The part in bold means "until then I had only filched (small things) like candy and fruit"...and in Kinderseele we see him stealing exactly that. After that we have the relationship between him and his father, events that get out of control after Sinclair lies to a fellow student, and many more. Suffice to say, if it is not officially a prologue to Demian, everything in it reads as one. So naturally I began the translation right away, finished it relatively quick due to its smaller length (about a quarter the size of Demian), and would have published it a few months ago were it not for a weird font issue with Libreoffice that caused half the text to disappear when I tried to make the document into a pdf. A new edition of Libreoffice has fixed this, and I was able to finish the project on Lulu.com this morning. Here is the link to the book on lulu.com. Cover design improvement is by Lance Kraemer, as before, as well as the proofreading which was done by Olivier Simon. This time I have made the book a pocket size edition, so it is 165 pages at 4.25 x 6.88, compared to Demian's 244 pages at 6 x 9. Price is also much less: $9.50 instead of $17.50, partly because of the smaller size but also because of opting for a smaller profit margin this time because Kinderseele is a much less well known work, and the more that can read it the better. The cover look like this. Now that it is done I have ordered myself a copy, and will receive it in about a week. Though I have proofread it a number of times already, reading a paper edition is always a different experience than a file on a screen, and I could see myself making a change or two here or there, though I don't expect any major changes from the current edition. I will probably post about it again in two weeks' time, after I have received the first paper edition and have finished going through it. One final note about the translation: the translation this time is still literal, but I have made it somewhat less literal than the one used in Demian due to the rarity of the book. It is not easy to simply pick up another translation of Kinderseele for comparison, and so I wanted to make it easier for the reader to understand. The smaller size of the book is another reason for this, because not as many words are able to fit on a single line. So for the most part it comes across just like the translation of Demian, just slightly more readable.